3. Public transit is an issue that calls for intergenerational solidarity. Thehighest users of transit  in Metro Vancouver include those aged 18-29 and those aged 70-plus. Students and young people need dependable access to the more frequent and convenient services the transit plan proposes so they can get to school and work efficiently and safely. For the growing population of seniors who are living longer and independently, transit accessibility, comfort and convenience is paramount. 4. For vulnerable seniors—those with low incomes, recent immigrants, those with chronic health problems, and the frail elderly—a “yes” vote is especially critical. A “yes” vote will result in a thirty per cent increase in HandyDart rides, a twenty-five per cent increase in bus services, and a twenty per cent decrease of congestion on the roads. A twenty per cent decrease in traffic means that emergency vehicles will be able to get people in crisis to hospitals much faster. 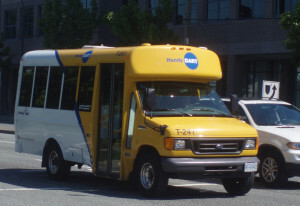 The proposed transit improvements will also benefit outlying areas that are currently underserved and where there are high concentrations of older adults with low average incomes—including Surrey, Langley, and Maple Ridge—and areas with high concentrations of recent immigrant seniors.